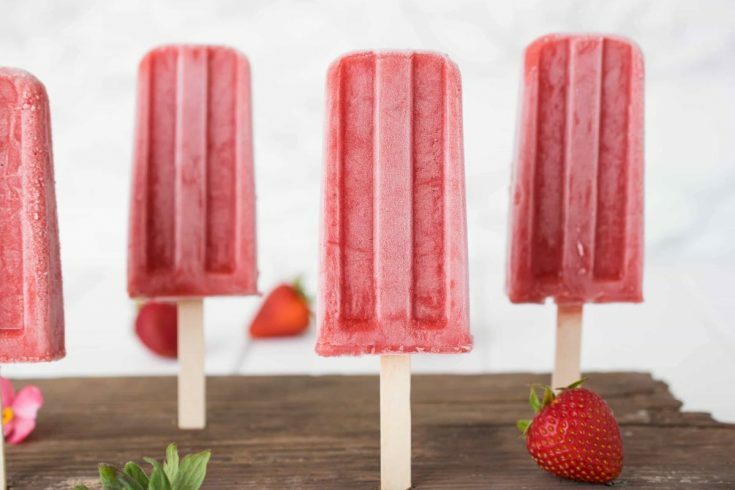 These strawberry popsicles are sugar-free sweetened only with pineapple juice and honey. 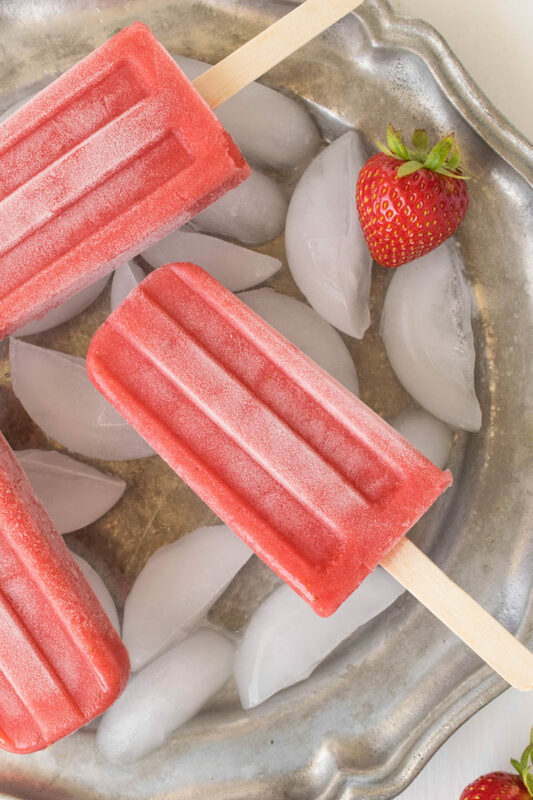 You can get your vitamin C and be ready for the summer with these good-for-you popsicles. These delicious treats have oldany names around the world, in England we call them ice lollies, ice pops or ice bar in other parts of the world and in the U.S. they go by their brand name Popsicles. Whatever you call these delicious treats that are enjoyed by children and adults alike to cool off when the weather is getting warm. Strawberries remind me that the warm weather is coming and popsicles help cool me off. Are you ready for summer? 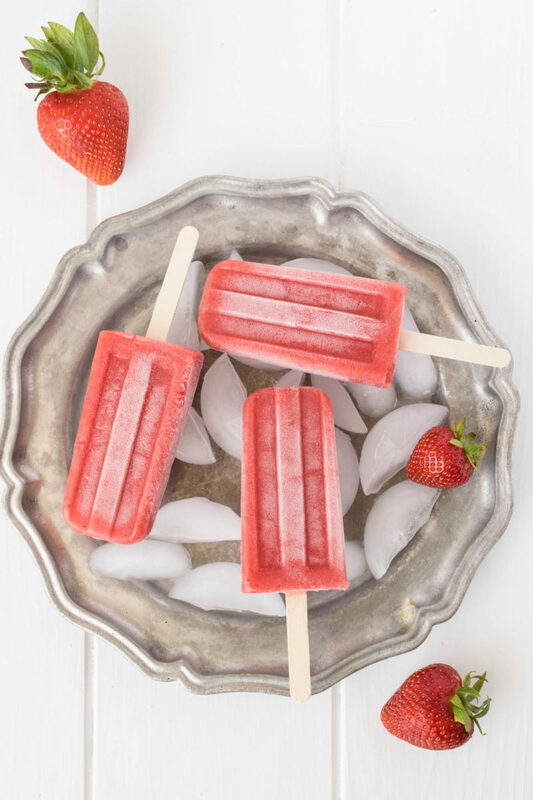 I could eat these popsicles all day, they are cooling, refreshing and good for you because you get a serving of fresh fruit. Don’t buy, make! I loved the popsicle maker that I used. You can find them online for purchase. Strawberries are this months ingredient for the 30 day challenge that I participate in every month with some fellow bloggers. 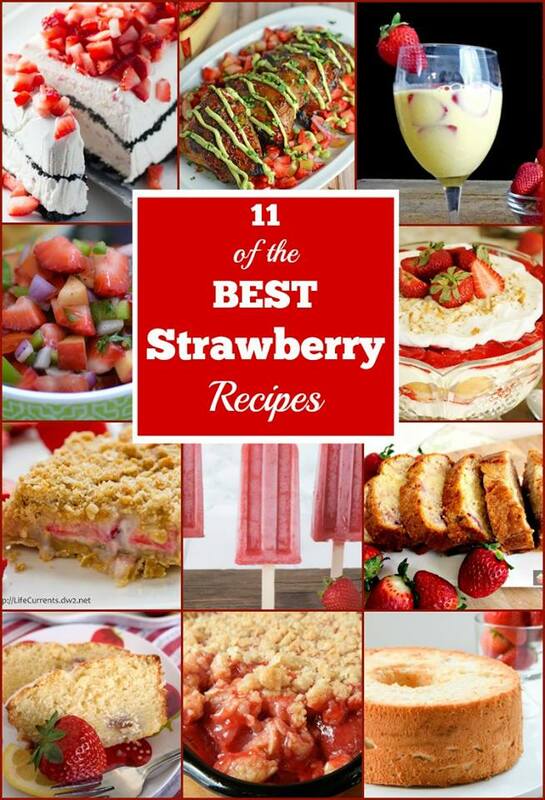 Check out all the other lovely strawberry recipes below from everyone who took part in our 30 day strawberry challenge. 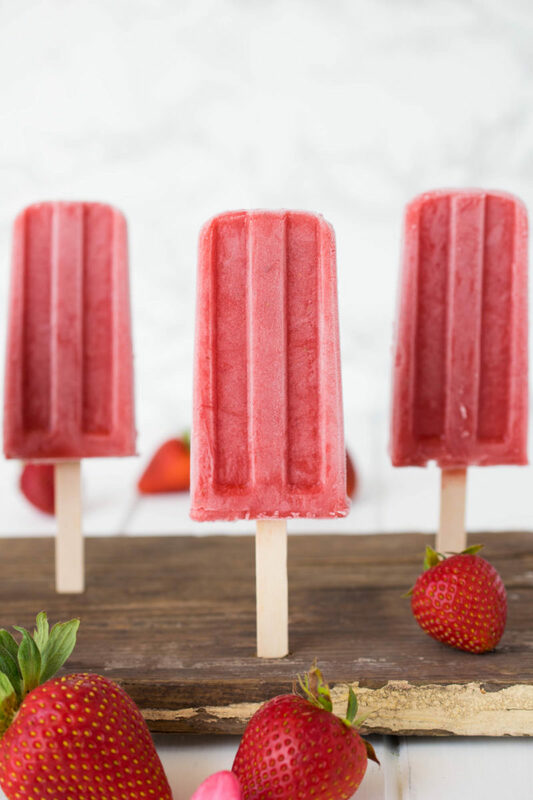 These strawberry popsicles are sugar-free sweetened only with pineapple juice and honey. Add all the ingredients to a high powered blender and blend until smooth. Fill each popsicle, put on the lid and insert a stick into each about 3/4 of the way in. Freeze for about 4 hours until they are set. To easily remove them, set the maker in warm water for just a minute and they should come out easily. What a totally refreshing treat! My 6-year-old daughter (and I!) would love these. I love how simple these! I love how fresh and easy these are! No extra sugar or junk, just pure natural goodness for me and my kids! Thanks for the recipe! Such gorgeous photos! These look like such a perfect treat! So much better homemade than store bought! Such a tasty hot weather treat!!! These are just so beautiful! I wouldn’t want to eat them, they are so pretty. 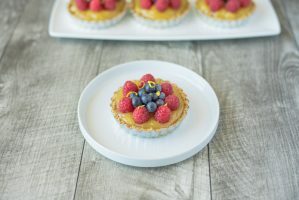 I have got to make these this summer, great recipe!! I love ice lollies and these look so refreshing and yummy! I can’t wait to try them! These look super yummy! I could go for one right now; so refreshing and healthy! Love making my own popsicles! These look so cool! Pinned! Strawberry is my favorite flavor for popsicles! We’re down of FL visiting my husbands family and these would be absolutely PERFECT right now! 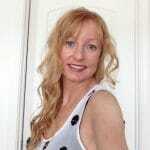 And I’m just loving your photographs too – just beautiful!